Mrs. Lanelle Head Reeves, age 89, of Griffin, passed away Saturday, February 2, 2019 at Brightmoor Nursing Center where she has resided for the past year. Mrs. Reeves was born in Griffin on March 17, 1929. She is preceded in death by parents, Edwin Douglas and I.V. Head; husband, Gene Reeves; siblings, Lee Hoyt Head, Edwin Douglas Head, Jr., Barry Head, Winnie Blalock, Louise Ricketts and June McKemie. 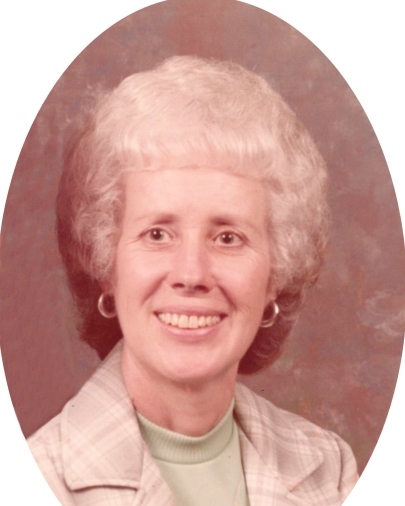 She was retired from Jaco Mills, a member of Griffin Church of the Nazarene. Mrs. Reeves enjoyed working in the yard. The family would like to thank Brightmoor for the wonderful and loving care Mrs. Reeves received while at Brightmoor. Survivors include sister, Carol Pitts; several nieces and nephews. Visitation will be Monday, February 4, 2019 from 11:00 am until 12:30 pm at Conner-Westbury Funeral Home. Following the visitation, a graveside funeral service in Oak Hill Cemetery, section E-2. Reverend Gordon Tippins will officiate.